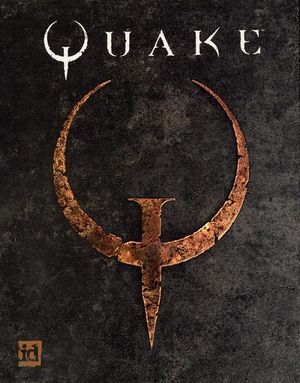 Quake is a game developed by id Software and published by GT Interactive in 1996. Quake is the successor to the Doom and Doom II games, and was one of the first games to offer real-time 3D rendering and 3D acceleration. 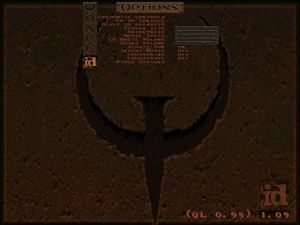 QuakeWorld A multiplayer only version of Quake specifically designed to play over the Internet. A version using OpenGL rendering is also available (GLQuakeWorld). See Quake vs QuakeWorld for specifics. QuakeSpasm QuakeSpasm is a descendant of FitzQuake which like that engine, it focuses on fixing bugs and stability, lifting engine limits such as maximum items and geometry detail and restoring the missing functionality that the original software renderer had but the OpenGL renderer lacked. Unlike many other engines, QuakeSpasm does not alter the style of the original game and doesn't fix game-changing bugs that affects mods. The most commonly used source port in the community. vkQuake vkQuake is a Quake 1 port using Vulkan instead of OpenGL for rendering. It is based on the popular QuakeSpasm port and runs all mods compatible with it like Arcane Dimensions or In The Shadows. Compared to QuakeSpasm vkQuake also features a software Quake like underwater effect, has better color precision, generates mipmap for water surfaces at runtime and has native support for anti-aliasing and AF. It is the current best source port for modern GPUs with Vulkan support. Please note that under Linux (and maybe OS X, depending on the file system) many older maps will need manual editing of their filenames because the original files contained mixed case or upper case letters. To disable texture filtering in the hardware accelerated versions, use gl_texturemode "gl_linear_mipmap_linear" in the console. The game uses non-power of two textures for models, which were supported by the software renderer, but not by the OpenGL renderer. Therefore, textures in OpenGL have to be resized to a power of two; this is controlled through the console command gl_round_down. By default this is set to 1, which downsamples textures to the nearest power of two, reducing quality noticeably in the process. This was used due to limitations of contemporary 3D hardware, although the readme for GLQuake claims that setting it to 0 (which will upscale to the next higher power of two instead) will run well even on a contemporary 4 MB 3DFX Voodoo Graphics. GLQuake also defaults to gl_flashblend 1, which uses a transparent shaded sphere around lightsources such as explosions in place of real dynamic lighting. Setting gl_flashblend 0 will use dynamic lighting similar to the software renderer. Download the soundtrack files[Note 3] for the campaign and mission packs. Was originally a Quake mod. See Team Fortress for details. Use Vispatch (Mac version available here) to patch vanilla data (some mods already include said patches to data). Use the command r_wateralpha with any value below 1.0 to enable the effects. Note some engines wont remember this value and will require it to be added to the autoexec.cfg. ↑ 2.0 2.1 File/folder structure within this directory reflects the path(s) listed for Windows and/or Steam game data (use Wine regedit to access Windows registry paths). Games with Steam Cloud support may store data in ~/.steam/steam/userdata/<user-id>/2310/ in addition to or instead of this directory. The app ID (2310) may differ in some cases. Treat backslashes as forward slashes. See the glossary page for details.